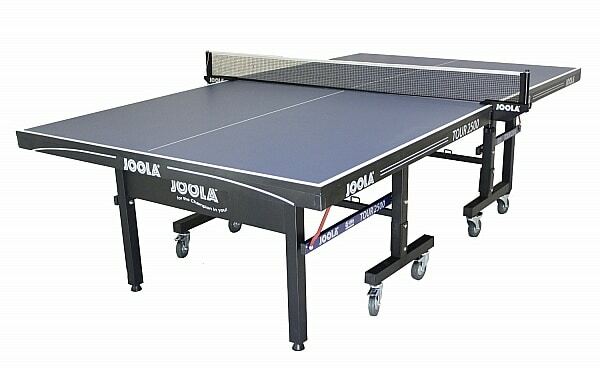 JOOLA is a world producer of top quality table tennis equipment which includes the manufacturing of table tennis tables. The company keeps on improving the design and quality of their table tennis equipment especially for the tables which are widely used and is a preferable brand for many players when they are looking for ping pong equipment. Each of the JOOLA tables undergoes a detailed assembly process to be certain that the table that is produced are always of excellent quality. After the Tour 1500 and 1800 tables, JOOLA continues to release another Tour series of ping pong table which is JOOLA Tour 2500 Table Tennis Table. This table is made for recreational or intermediate players who tend to have heavy usage. The top of the table features a thickness of 1” and it undergoes an intensive polyurethane paint process in order to produce an effective playing surface for players. Another feature of the table is its metal frame is powder-coated so it can offer robust and sturdy support for the table top. As JOOLA is always emphasizing on the safety of the table, this Tour 2500 is with no exceptions in which is incorporated with an anti-tilting device, automatic folding legs, and 4 locking wheels for utmost safety for players. As mentioned earlier, the JOOLA Tour 2500 is features with a quality surface with 1″ thickness which is the standard thickness required by ITTF, it can provide a great and steady bounce for players. The intensive and multilayered paint process made it very sturdy to protect against warping and cracking, therefore you will be able to use this table for many years. 1″ thickness of MDF painted table surface. Great quality and standard tournament table include net and post. Nearly preassembled with 2 independent stand-alone halves on trundle system. Durable powder-coated 50mm metal frame and 50 x 50mm undercarriage. Optimal storage dimensions of 24 1/2 x 62 1/4 x 64 inches. Double anti-tilting device for increased safety. Some people might find the two halves of JOOLA Tour table tennis table can be very heavy and will need people with enough strength to move it to the location that they want to place the table. Nonetheless, most people are having the reviews that this table appears to be really quality made and most of them are very pleased with the purchase of the table. However, some people are commenting that the net and posts may not look so quality. If you want to buy a table and place in your basement, by considering it can be a challenge for the weight for you to move, maybe you can think of choosing the lighter weight JOOLA Tour 1800 which will be less challenge for you to move it. After all, the JOOLA Tour 2500 is still an incredible table which can be ideal for mid-level players who wish to improve their playing skill. If you are also thinking of playing better practice, then you may consider buying it. 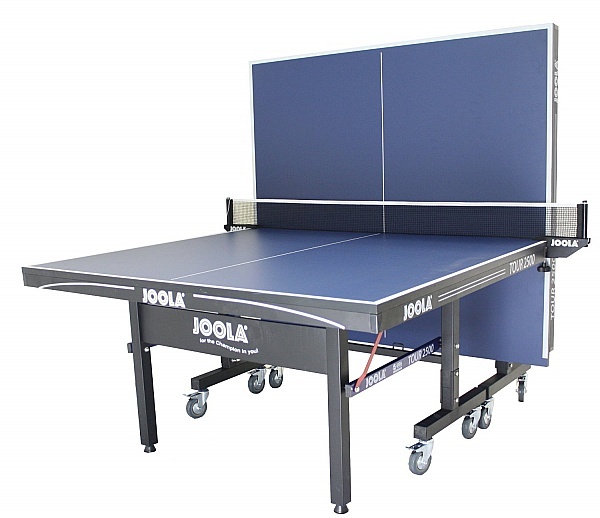 If you are looking for a durable yet affordable outdoor table tennis table, then this JOOLA Tour 2500 would be the best pick for you. You can get the table from Megaspin or Amazon.